Dean Hall's popular zombie survival game is cruel and lonely. But the worst thing for many players is how much you need to run around to find anything useful. It's enough to make you want to end it all. 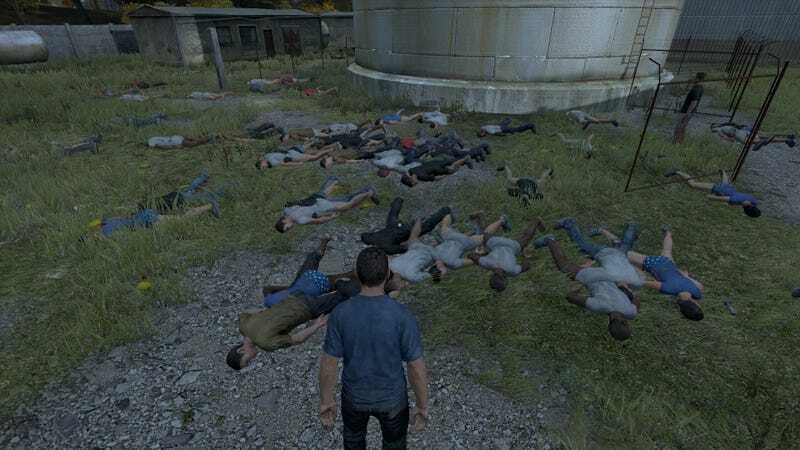 People playing DayZ kill themselves with the hopes of respawning somewhere with better materials to scavenge. And sometimes, the suicides cluster in one place. Creepy.